I can’t keep my mind on my work today. The atmosphere is electric. The President’s vile slurs keep ringing in my ears. A crude damnation of a country and a continent. And then there’s Oprah’s speech? Imperfect, to be sure but a rousing call to personal responsibility and to working for a better world. 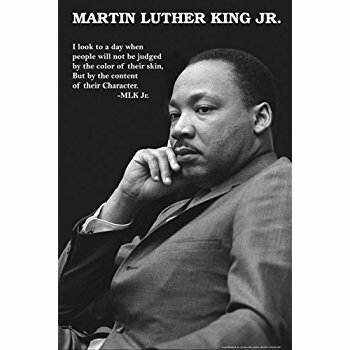 And Martin Luther King Day next Monday – honoring the inspired leadership and vision of one of the greatest of Americans. And the lessons for Sunday asking how do we know things? Jesus? God? What to do next? What to say and not say? Maybe more attention than ever has to be given to gestures of decency and respect. As Nancy invited me to consult with her about hymns for Sunday, we two white women had a difficult conversation about race and respect: Should the congregation sing “Lift Every Voice and Sing” (called “The Black National Anthem”) on Sunday, in honor of King? Or is it more disrespectful and even silly to have a group of mainly white people sing about oppression and the battle for racial equality that they haven’t experienced? If we sing it, should we sing it slowly – as it is done in many black congregations – or should it be speeded up so as not to” drag”? Should we ask one of our black members about this? Or is that condescending and inappropriate by asking them to speak for their race? Is it worse to sing “Lift Every Voice” only once a year or not at all? Nancy made the call and said no. I agreed but still am not sure. To sing or not to sing? To speak or not to speak? How to call out the name-callers, even the President? These are urgent questions. No matter how wounded we feel – because of racial slurs, gender shaming, personal insults, political affiliations, or the fear that our attempts to be respectful might be labeled inappropriate, there is no choice really but to move ahead by speaking the truth as we know it. To go with our gut. To put our own stories and experiences out there and trust our listeners.